Have you ever seen the movie “Love and Other Disasters” starring Brittany Murphy? Well it’s one my favorite go-to chick flicks. Murphy plays ultra-chic, carefree “Jacks” and it’s impossible not to be envious of her glamorous everyday look in what I believe to be a total “Breakfast at Tiffany’s” spoof. While the movie itself isn’t as well put together as Jacks, it’s a feel-good movie I recommend if for no other reason than for fashion inspiration. When I interned in D.C. there was one weekend it was so miserably hot that I stayed in my room, ordered delivery and binge watched Brittany Murphy films. I wish I had become a fan of her’s while she was still alive because she was one classy lady in my book. 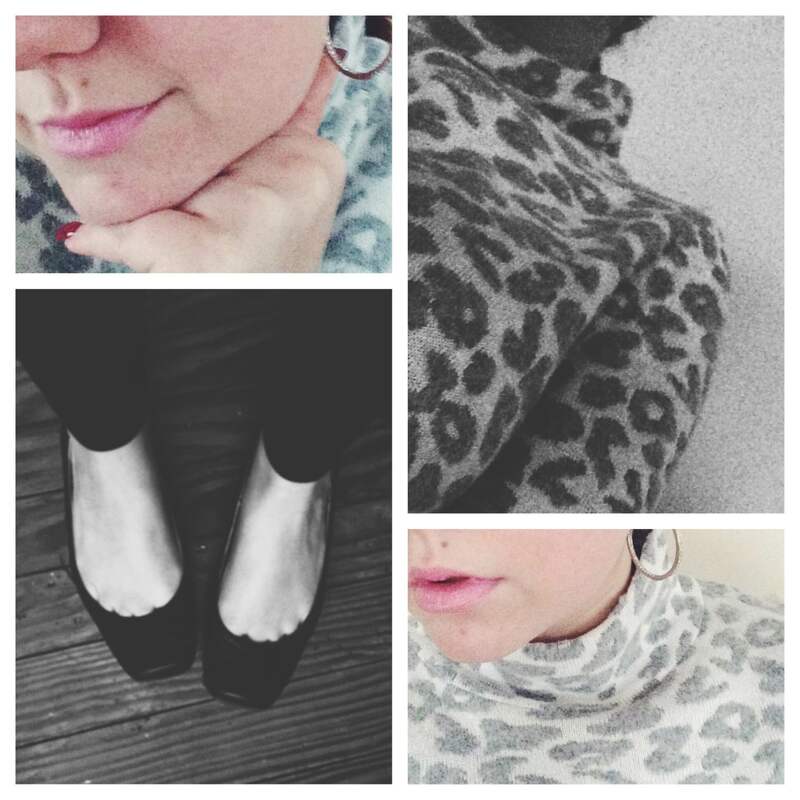 Here I’m channeling Jacks in a sweet pair of black ballet flats I scored at Marshall’s one weekend shopping with my fab friend Blair, comfy black legging style yoga pants from Target and a cozy snow leopard print sweater from The Loft. Lipstick is an oldie but one of my go-to shades: Rimmel London 006 Blush Pink. Earrings are Chloe + Isabel Crystal Pave Hoop Earrings and can be found at my online boutique. What’s your favorite Brittany Murphy movie? Resumes are an incredibly important part of your career. They can also be a bit of a pain from time to time. Here are a few tips I have gathered. 1. Keep it clean & simple: Stay away from frilly complicated fonts. This is one time in your life that you want to be as plain and boring as possible. (Well unless you’re applying for a design related job.) Stick with a simple generic font – not just important for legibility but also in case you are submitting your resume electronically because not all fonts will transfer to other computer systems. Save and email/upload your resume as a PDF to prevent most aspects of your resume from changing when viewed on various devices. 2. One page is all you need: It is so important to keep your resume to one page. Make sure the page looks full but remove fluffy language that only takes up space. No one is going to take the time to read any part of your resume if they see that it’s over a page – they just don’t have the time and it makes you look out of touch. 3. Move your education to the very bottom of the page: For just about any position you apply to post college, it is assumed that you have a certain level of education to even apply. With this in mind, don’t use up prime real estate at the top of the page with assumed information. Move that to the bottom leaving the top of the page to house the most relevant experience you have for the position. 4. Quantify your experiences: Numbers speak volumes. Did you maintain a certain amount of sales weekly at your retail position? Did you manage a group of associates – how many? Did you close out a register nightly – how much money did your employer trust to you handle? Did you increase engagement on your company’s Facebook page, Twitter account, etc. – how much? These types of questions can be applied not only to your work experiences but any volunteer, leadership or extracurricular experiences. 5. Consistency is key: Bullet points? Sentences? Punctuation? Bold previous employers? Include start and end dates as years only or months included? Whatever you choose to do in formatting your resume, be consistent throughout the entire page. I see consistency to be equally important as spelling and grammar. 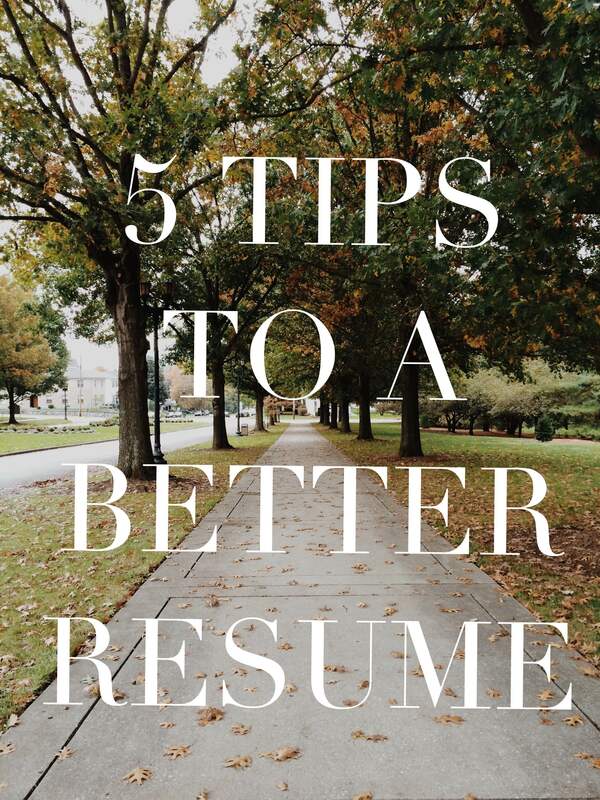 I hope these quick tips help as you write or review your resume! Always ask friends, family or colleagues to review your resume before sending it off because a new set of eyes will catch something you missed. Your resume should be treated as a living thing – updated and reviewed regularly. It will definitely save you time and a headache in the future if you maintain it regularly! I’m enjoying not having every hour of my day spoken for in my planner. Time for hobbies. One of which being blogging. 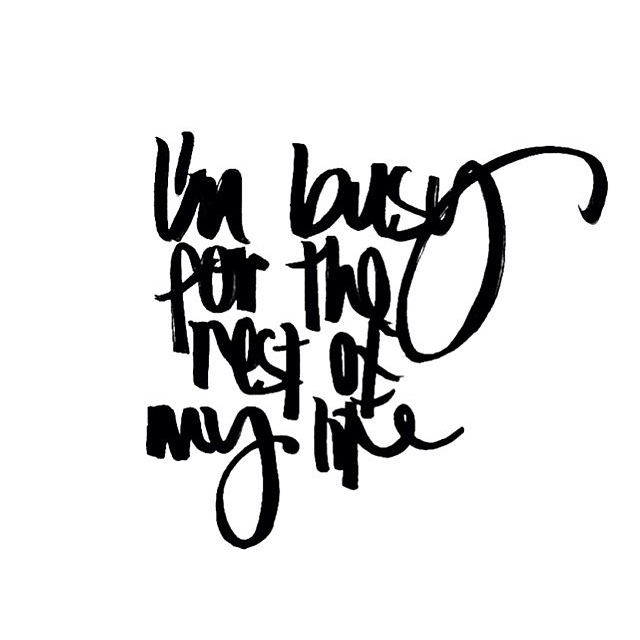 So I’m throwing out all those “I’m busy for the rest of my life” thoughts I had in college and focusing on enjoying each day as it comes.